Most parents need at least some form of child care. Unfortunately, child care can be quite expensive. However, the good news is it doesn’t have to be! It is possible to find good child care and still stay within your budget. From school and government programs to private arrangements with other parents, there are a number of ways to find quality child care. Visit Childcareaware.org to research fact sheets on child care costs, services, and other data within your state. Here’s an overview of the different types of child care that are available. Day care facilities often have scholarships available or charge fees on an income-based sliding scale. Your child may qualify for a scholarship to your local day care facility. Some local and state governments also offer child care subsidies for families in which the parent(s) are in school or meet income guidelines (Go to your local Jobs and Family Services office to apply). These subsidies or vouchers can be used to pay for child care in a licensed day care facility. In addition to these child care options, some employers offer on-site care for employees. On-site child care is a great resource for working parents. Your employer’s human resources office will be able to help you determine availability and eligibility. For more options, visit Childcareaware.org to find a free local child care provider. Some school districts offer child care to children as young as three years old. Talk to the schools in your zoning district about programs available. In addition to a typical school day, many of these programs offer free or reduced-price before and after care as well as free and reduced-price meals. Head Start and Early Head Start are also options for child care for some families. Programs vary according to local needs but can include full and half-day child care, school-based care, and in-home care as well as child care for children with special needs. Eligibility is based on family income. Visit Head Start to determine your family’s eligibility or find a program near you. Around the age of 5 years old, children are typically enrolled in elementary school. This means that you have child care covered from 8 a.m. to 3 p.m. But what about the afternoons? Both The Boys & Girls Clubs of America (http://www.bgca.org) and the YMCA (http://www.ymca.net) have a variety of after-school programs and different activities for children from elementary school to high school. Many schools also offer free or reduced-price before and after care options at the school. These programs often offer homework assistance, free play, and enrichment activities, such as science classes, language classes, and sports. Often, free or reduced-price meals and snacks are part of the program. Eligibility is often based on income. Check with your local school district to find what options are offered. Talk to your school. Local public schools frequently offer programs for children during the summer. These programs can be both educational and fun for your child. Most communities have a variety of summer camps. Though they can get pricey, talk to the camp staff about scholarships that might be available. Traditional child care isn’t your only available option. There are in-home day cares, nanny shares, and co-ops. This is possibly the cheapest method of child care. Bartering is typically an exchange of goods, but it can also be an exchange of services. If you work mornings and your friend works afternoons, offer to watch her child in the afternoon if she watches your child in the morning. You can also talk to other parents at your child’s school and take turns watching the children after school. If your schedule doesn’t allow you to watch others’ children, perhaps you can offer a different service, such as music lessons or meal preparation in exchange for child care. Babysitting co-ops are similar to bartering. Websites such as www.babysittingcoop.com or www.babysitterexchange.com can help you find a co-op in your area. Some co-ops are also found on Facebook. These sites can help you find reliable babysitters as well as save you money. Instead of paying money for the sitter, you use a token system. Tokens are earned by providing babysitting for someone else. You then can redeem your earned tokens when you need a sitter. If you are both a parent and a student, finding someone to watch your child while attending classes can be difficult. Your school’s counseling center or health center may be able to connect you to child care services in your area. Many colleges and universities operate job boards where students advertise their child care availability. Some schools offer child care facilities on campus, while others have babysitting services that are run by student volunteers. Your classmates may also be able to point you in the right direction. Many college students would love to spend some time with kids and take a break from college. If you have your own house or apartment, offering them food or a place to do their laundry can be a great incentive. Education or nursing majors might be especially interested with spending time with children. A mother’s helper is someone who watches a child while the parent is at home. This can be helpful if you need to study, work from home, or check off some items from your to-do list. Children as young as 10 or 11 years old can make great mother’s helpers. Mother’s helpers are often less expensive than babysitters. Care.com is another resource for finding a babysitter, nanny, or mother’s helper. After determining what type of caregiver you need, you can create a job on the website. The available caregivers are able to contact you, and you can then request background checks, interview the candidates, and look at references before you make your decision. Your child’s well-being is your top priority, so take the necessary steps to ensure that your child care provider is not only reliable, but also safe. Get references of each child care provider you consider and follow through on contacting them. For an individual caregiver, previous employers can provide great information about what they thought of the child care provider and can tell you about their family’s experience with the provider’s services and quality. For day care centers and other similar providers, talking with current and past parents can give you a sense of the center’s approach to safety as well. Childcareaware.org is a great online resource with general information about child care as well as help to find a child care provider near you. Do not hesitate to ask as many questions as you have! Some important questions might include what the adult-to-child ratio is, how many children will be in the group, and whether the caregiver has qualifications and certification, or has completed a background check and drug test. As a parent, remain involved as an active participant in your child’s life. This will show caregivers that you are invested in your child’s learning and safety, as well as allow you to keep a closer eye on the interactions and relationship between your child and his or her caregiver. Some child care centers offer parents the ability to watch their child live online. Showing up unexpectedly can also provide assurances that your child is in good hands. Knowing that your child is safe while you are away will give you the peace of mind that you need to be successful at work or school. 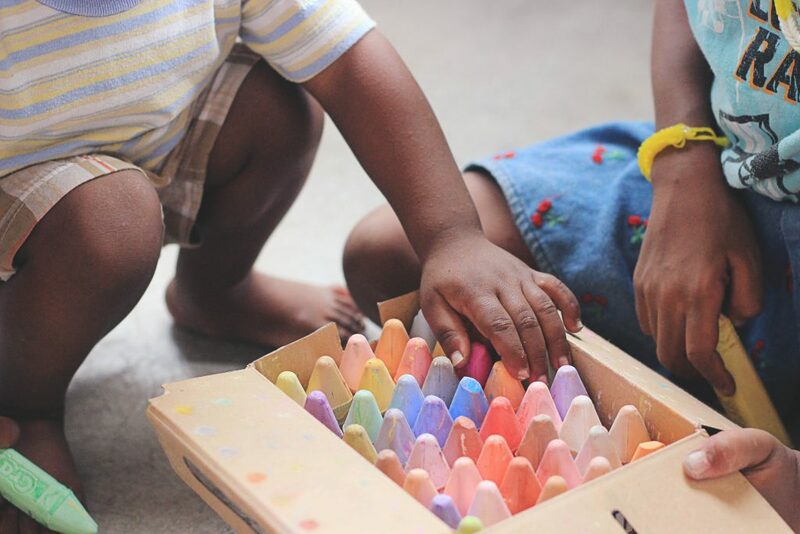 While it may take a bit of time to find the child care that fits your needs, there are many options out there and with patience and perhaps some creativity, you’ll be able to find a situation that works for you and your family.